The aim of this policy is to comply with any relevant legislation and set out the Pension arrangements to which all employees are entitled. Membership of NIGHT WATCH SECURITY SERVICES LTD scheme is not automatic if you wish to apply you must do so within 6 months of joining NIGHT WATCH SECURITY SERVICES LTD or within 6 months of the scheme start date. If you do not do so, you will require NIGHT WATCH SECURITY SERVICES LTD’s consent to join and you may also be required to provide additional information before NIGHT WATCH SECURITY SERVICES LTD considers your request to join. NIGHT WATCH SECURITY SERVICES LTD wishes to encourage and help all its employees have an independent and protected retirement and to promote the benefits of having a secure income in retirement. Both employers and Government are working together with the financial services industry, to help people plan for their retirement and make informed choices about how and when to save and how long to work. It is with this in mind that NIGHT WATCH SECURITY SERVICES LTD advises that every employee should consider their long term plans for retirement. NIGHT WATCH SECURITY SERVICES LTD will encourage every employee to consider their retirement. NIGHT WATCH SECURITY SERVICES LTD will provide a scheme as it is required to do under the “employer access requirement” of The Welfare Reform and Pensions Act 1999. NIGHT WATCH SECURITY SERVICES LTD is fully aware it does not have the resources and/or the skills to provide every employee proper independent financial advice therefore NIGHT WATCH SECURITY SERVICES LTD will recommend employees seek independent financial advice. NIGHT WATCH SECURITY SERVICES LTD will not force any employee to join the scheme. Any employee not wishing to take up the scheme will be required to complete a pension scheme opt out form. NIGHT WATCH SECURITY SERVICES LTD may consider not to provide a scheme if it employees less than five employees.  NIGHT WATCH SECURITY SERVICES LTD may exclude from the scheme employees under the age of 18 or employees with less than 5 years before their due retirement date. The requirement for NIGHT WATCH SECURITY SERVICES LTD to make any contributions to the scheme as the employer shall remain discretionary. The policy will be monitored on an on-going basis to ensure that it addresses issues effectively. That all prospective employees are advised of the policy. That the policy forms part of the induction programme. Assessment of any reported incident or related occurrence. Monitoring of the policy is essential to assess how effective NIGHT WATCH SECURITY SERVICES LTD has been to establish control of its obligations. This policy will be reviewed and, if necessary, revised in the light of legislative or organisational changes. Improvements will be made by learning from experience and the use of an established annual review. Should any amendments, revisions, or updates be made to this policy it is the responsibility of NIGHT WATCH SECURITY SERVICES LTD senior management to see that all relevant employees receive notice. Written notice and/or training should be considered. If you require any additional information or clarification regarding this policy, please contact your manager. In the unlikely event where you are unhappy with any decision made you should use NIGHT WATCH SECURITY SERVICES LTD’s formal Grievance Procedure. The Pension Service provides impartial Government information and advice. Provide Information for working families. NIGHT WATCH SECURITY SERVICES LTD (client) clearly understands the information provided is only a guide to good practice; it is up to each client to see that it meets the need of their particular circumstances or industry. In no way whatsoever should the information provided be taken as an interpretation of the law. Such an interpretation can only be given by the employment tribunals and by the courts. Every reasonable effort has been made to ensure the accuracy of the information contained in this document; it may include inaccuracies or typographical errors and will be changed or updated without notice.